Used Aston Martin DB9 Review - 2004-2012 Reliability, Common Problems | What Car? 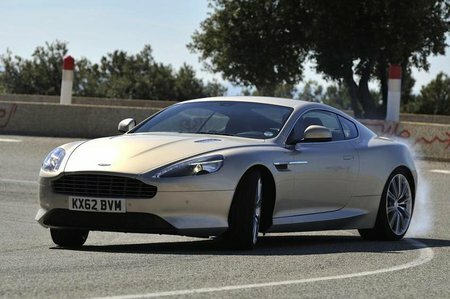 What should I look for in a used Aston Martin DB9 coupe? The Aston Martin DB9 does have some reliability issues. Most of them tend to be about general build quality, but the fancy Linn stereo has also caused the odd problem, with some units malfunctioning and then needing replacement. In addition, there have been cases of other electrical gremlins, such as faulty tyre pressure gauges. The V12 engine is tried and tested, although there are stories of the engine management light coming on for no apparent reason. There have also been engine and gearbox failures, although these appear to be rare. Clutch problems have also been noted. Many owners complain about the fit and finish of the interior, with numerous squeaks and rattles developing. The DB9's nose is prone to stone chipping, which if not properly repaired can lead to corrosion. Accident damage is expensive because many body panels are made from specialised materials. The Connolly leather interior may be very soft, but it needs regular conditioning to stay at its best. A car that has been poorly maintained will look tired. The air-con is also suspect, and can be expensive to fix, so make sure it works on any car you want to buy. Check that the service history is complete, and that recall work on the parking brake has been done. If buying from a main dealer, you should expect the car to be faultless. What are the most common problems with a used Aston Martin DB9 coupe? Is a used Aston Martin DB9 coupe reliable?